The LRS difference - warranty like no other - terms conditions check it out. All of our LRS products come with a full three year warranty for our own products - the best warranty there is for paging, but radio accessories all come with a one year warranty against manufacturing defects. Find out how to get a ten year warranty on your paging system. Why buy other products with inferior warranties? Imagine having a warranty that lasts for 10 Years* - well stop imagining - it's right here - right now! Don't expect to see this any time soon from distributors or those Chinese products out there - it won't happen and this warranty is for LRS UK customers only. 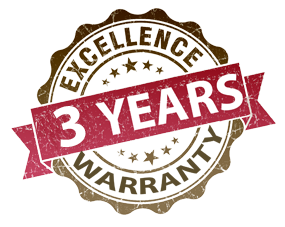 LRS UK was the first to introduce a three year warranty in the UK for all of our customers - and we still offer that as standard against manufacturing defects. But now we have set another goal post for others to follow (which we're sure they will not - just ask them) - its a 10 year warranty*. Rechargeable batteries carry a 5 year warranty - but are low cost and easily replaceable in our equipment right here in the UK. Our warranty condition excludes instances where (for example) you might drive over a pager with a fork lift, or maybe the pager gets damaged with water. But if you have a genuine warranty claim where manufacturing defects are the cause of the failure then we promise to solve that problem under our warranty. Typically the value of our warranty adds high value and after market value (if ever you want to sell it) to the LRS product. For further information you are provided with a warranty voucher to take part in our ten year manufacturing defect warranty within the system as it arrives. The voucher is not transferable and carries no commercial value by itself. Please note that *Terms apply for continued warranty for the full 10 years.